We work with you to identify and tailor a maintenance service package to exactly meet your needs over an agreed time frame, for example 6 to 12 months or longer periods of time if required. Depending on your requirements, your ISO consultant can work on your system on a weekly, monthly, quarterly or annual basis.... all this for a fraction of the cost of an in-house team. 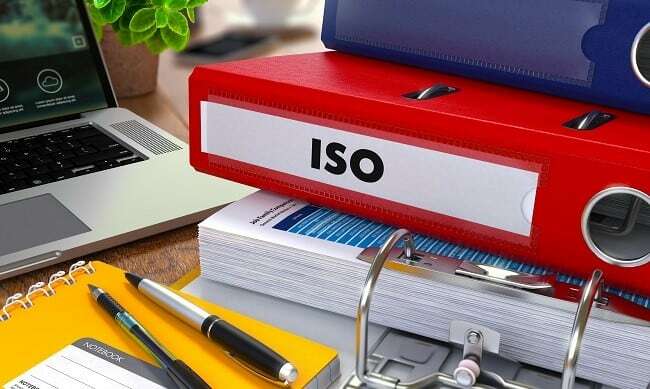 ISO Care Services is a professional outsourcing service where we provide you with a dedicated Quality, Environmental and/or Health and Safety consultant on a part time basis to manage and audit your ISO management system. We work with you to identify and tailor a maintenance service package to exactly meet your needs over an agreed timeframe, for example 6 to 12 months or longer periods of time if required. Depending on your requirements, your ISO consultant can work on your system on a weekly, monthly, quarterly or annual basis…….all this for a fraction of the cost of an in-house team. A Quality Management System which is always up-to-date for the Certification Body and Customer Audits i.e. document control, internal audits, management reviews etc. 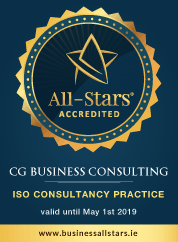 CG Business Consulting will provide you with a ISO consultant who will work with you on an on-going basis to assist you in the execution and maintenance of your ISO management system. The Consultant will ensure that your documented processes and procedures are followed and appropriate records are maintained in accordance with the requirements of your management system. They will co-ordinate and manage all your management system improvement initiatives and ensure that they are effectively and efficiently implemented. They will act as your main point of contact to answer all questions in relation to the use of your management system and for all Supplier and Certification audits. This can be carried out through a combination of on-site and off-site activities as best suits your needs. Prior to engaging our services we will agree a fixed fee and number of days to suit your budget. Additional days can be negotiated at a later stage if required. Contact us on 01 6204121 for more information and a no obligation consultation.